Each pack contains 25 x 160 mm Square Xmas Red 400 gsm Single Fold Card Blanks .. Seriously heavy card that will give your latest Christmas card creation the ultimate feel of quality. 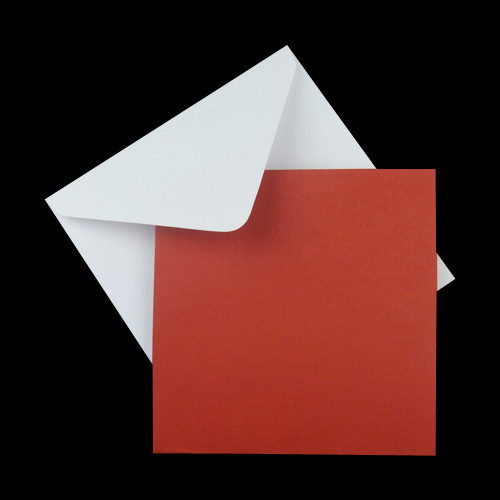 As an added bonus you will receive 25 x White 100 gsm gummed greeting card envelopes FREE. This is a limited stock offer so grab this Christmas bargain while it lasts.